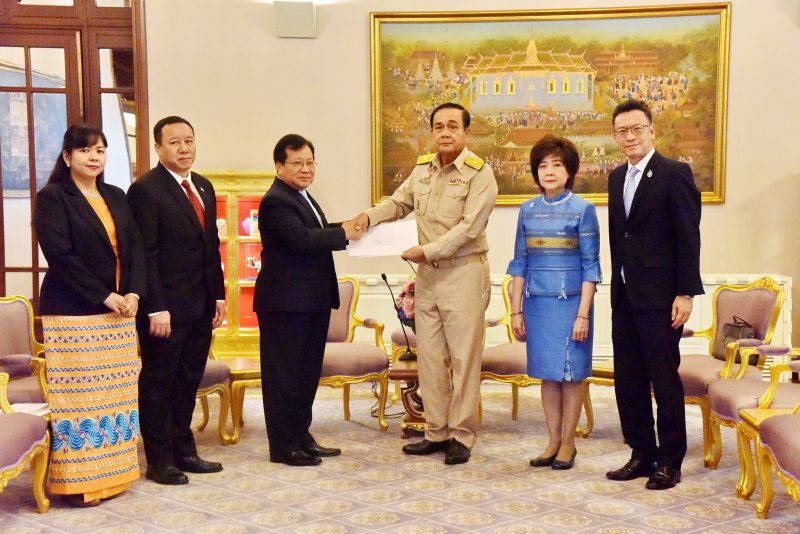 Bangkok – The Thai government has provided three million baht to Myanmar for flood relief and is to consider further assistance at an upcoming Cabinet meeting. Prime Minister Gen Prayut Chan-ocha has expressed condolences and provided relief funds to Myanmar’s Ambassador to Thailand HE U Myo Myint Than after the country was hit by devastating floods. The PM, speaking on behalf of the Thai people and government, expressed grief over the losses caused by the crisis and pledged three million baht via the Ministry of Foreign Affairs to relief efforts. He also indicated the Cabinet is to consider further assistance measures at its next meeting. The ambassador welcomed the graciousness of the Thai people and government while explaining his country’s flooding was the result of heavy rains that have affected hundreds of thousands of people while damaging hundreds of thousands of rai of farmland, especially in the Tanintharyi Region where the Karen and Mon states are located and in the Bago region. The ambassador noted that from the start of the crisis Thai agencies such as the Ministry of Social Development and Human Security, Ministry of the Interior, Ministry of Defense and Royal Thai Army have provided aid extending to food and necessities. He said it underlined the close ties the two neighbors continue to enjoy.